George Smardo, of Joplin, takes a smoke break outside the west entrance to Joplin City Hall Monday night, Oct. 18, 2010, just before the Joplin City Council meeting. 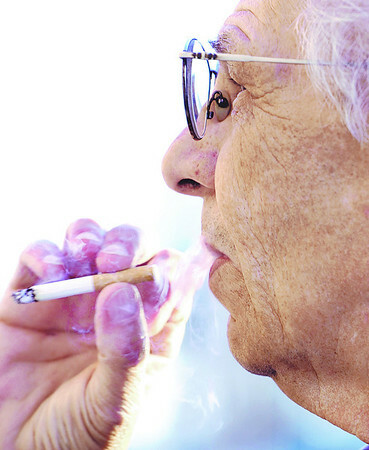 A proposed smoking ban was one of the main agenda items. Smardo, who has been smoking since he was 18, opposes the ban.